You won't get the run around when you choose us for your commercial waste removal. 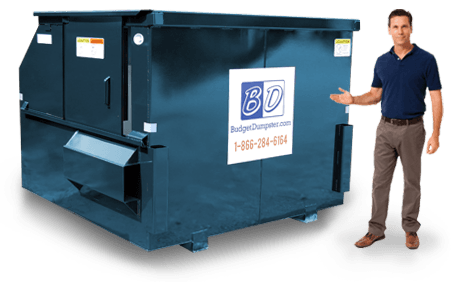 At Budget Dumpster, we make sure that you get exactly what you need without any headache or hassle. For starters, we don't do teaser rates. The price that we quote you is what you are going to pay, and we have some great rates on 1 year contracts. Also, you are never going to see any hidden fees or surcharges added on to your order. No, we're a national company with a local focus and a love of our customers. Don't worry about a thing; the same great company for rentals has commercial service too. We have a variety of sizing options for you to choose from. Don't know where to start? Just call in to our customer service center and talk to one of our reps. 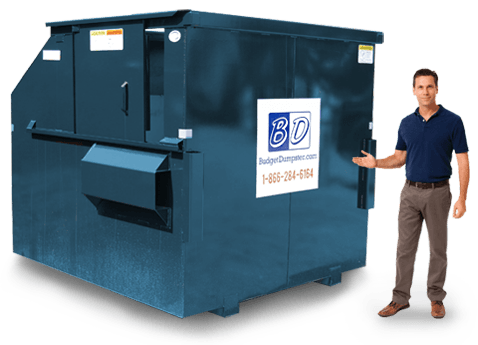 They'll ask you a few questions and depending on your answers be able to match you with the best dumpster for your company's specific needs. 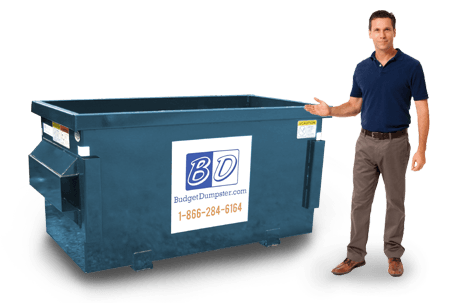 All it takes is a few minutes to get started, let us show you the Budget Dumpster difference. Call us five days a week, Monday through Friday. Just because it's small in size, don't think it can't hold some waste. Even our 2 yard option is a great choice if you have a small business with some waste output but not a lot of waste output. We can give you a better idea over the phone where we can talk more specifically about how much debris you'll need removed on a regular basis. If you need a little more room, maybe the 4 yard dumpster is your choice. This has about twice the capacity of the 2 yarder, but it doesn't take up much more space. 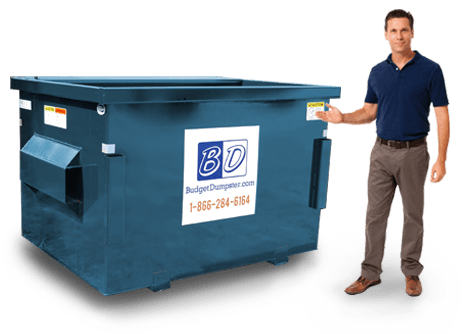 You can get the best of both worlds with this affordable, easy to place dumpster. And if you ever need to go bigger, that's no problem either. We can get you swapped out in a hurry so you don't sit around with your trash. The 6 yard container is great if you have a larger facility, but not a massive facility. It's about a foot longer and a foot and a half taller than the 4 yard waste container. It also comes with a sliding door on it to make sure that you can get that debris in there without any trouble. Once the dumpsters start getting taller, you don't want to toss that debris over the walls! This is the end of the road when it comes to our commercial dumpster sizes. You won't find anything bigger than this. Choose the 8 yard dumpster if you are working in a large facility, up to 25,000 sq. ft. We want to stress that this dumpster is not for everyone, unless you are going through a small mountain of waste every week, we suggest one of the smaller options, at least for you to start with.